Located in the pristine Kangaroo Valley, two hours south west of Sydney, Glengarry provides a unique learning environment in which boys discover the tools they need to grow into fine young men. Glengarry’s two-term residential program accelerates boys’ social development and is renowned as a rite of passage into manhood. The Scots College is seeking to employ an experienced, enthusiastic and dedicated Outdoor Education professional, who is passionate about the outdoors, to lead a unique Outdoor Education program, which achieves significant personal growth, during a pivotal six-month period for adolescent boys. The successful applicant will demonstrate a passion for working with young people, a great attitude, highly developed communication skills and the ability to effectively lead a team. 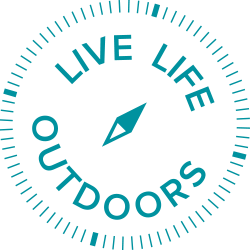 The Coordinator of Outdoor Education will creatively develop and lead an engaging, sequential, challenging and intentional Experiential Learning Program for Year 9 boys. They will also provide mentoring, friendship and foster a sense of community through involvement in weekly residential and other community activities. Compassion for adolescents and an awareness of duty of care responsibilities in a boarding context. Experience coordinating outdoor education programs. Great relationship building and communication skills. You must also be able to develop a deep understanding and appreciation of the Christian values of a Presbyterian GPS School. All applicants for child related employment must consent to the Working with Children Check. View the detailed Role Description for this position and apply, please visit The Scots College website. Please submit a cover letter and Curriculum Vitae to the College Recruitment Team (employment@tsc.nsw.edu.au) before the closing date below. The closing date for all applications is Monday, 24th September 2018.